Christians in Context: from orthodoxy to orthopraxy. : Trust Me, Skinny Jeans Look Great On Every Body Type or Are Women More Easily Deceived? Trust Me, Skinny Jeans Look Great On Every Body Type or Are Women More Easily Deceived? "And it was not Adam who was deceived, but the woman being deceived, fell into transgression." I look at myself and have no problem believing that women are easily deceived. If a pair of pants fit me perfectly and are technically the same size as all my other pants, but are labeled one size larger, I refuse to get them. I use toothpaste with "teeth whitening action" although my teeth aren't any whiter after almost a year of use. I like buying name brand products, even if studies have shown that the cheaper generic versions work just as well. Women can absolutely be easily deceived. My question is: are women more easily deceived than men? I started contemplating this question after reading an article about wives submitting to their husbands. As a fellow complementarian, I agreed with almost everything the author said, but one comment irked me. Most likely referring to 1 Timothy 2:14, the author explained that one of the reasons women need the protection of God and their husbands is because they are more easily deceived than men. My feelings of indignation swelled and I decided to sit down and write a scathingly brilliant (well, at least in my own mind) post refuting this notion. But as I thought about it, I realized that my negative reactions to this comment weren't really based on anything biblical. Instead they were rooted in my personal experience - not the best grid for interpreting Scripture. Could it be that *gasp*, I've been deceived about women not being more easily deceived? Or does the Bible support what I've thought all along? I want to find out. 1. Is Eve representative of all women? 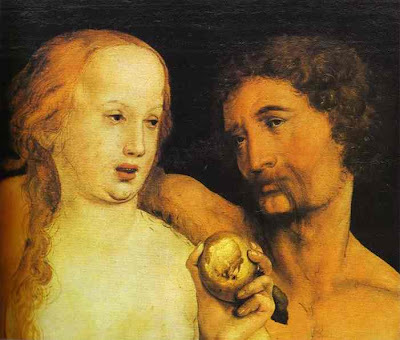 Is Paul arguing that since Eve was deceived, all women are more easily deceived than men? 2. If Paul is using Eve’s deception to argue his point in 1 Timothy 2:11-12 (that women should not teach or exercise authority over men), why would they still be allowed to teach other women and children? 3. If Eve isn't representative of all women, how does 2:14 fit into Paul's overall argument? 4. What was the nature of Eve’s deception? I’ve been pondering the connection between self-deception and sin and wonder if we allow ourselves to be deceived every time we sin. It seems we willfully go against God's commands because we don't believe they will result in our good. If I choose to gossip, I’ve deceived myself into believing that gossiping will somehow make me happier than if I choose to abstain. However, even though both Adam and Eve sinned, 1 Timothy 2:14 focuses only on Eve's deception. If there is indeed a relationship between self-deception and sin, how then was Eve’s deception different from this self-deception? So stay tuned! In the meantime, I’d love to read what you think. And maybe next time I find the perfect pair of jeans, I'll ignore the size on the tag and buy them. Or I'll just write a smaller size on the tag in Sharpie. I think the men having authority issue is answered in the order God created them. It is not based on superiority or strengths, but merely because God created Adam first. Women shouldn't have that authority not because they couldn't handle it, but because God ordered men to take that role. It is the same order that designed women to bear the children. The power struggle seems to include angry people who argue that it is old fashioned to make such a statement because all are created equal. This idea does not need to enter the argument. The answer isn't in the abilities of either person, but in the statement God made. There are females who are very strong and males who are very weak, but there are no males weak or strong who can live out their salvation in child bearing. There are females that seems to lead better than males, but the preferred order would be that the male would lead an work out his salvation in that ordered role. It is always difficult to generalize on that issue, but one thesis I have been working with for awhile is that it would seem odd for God to arrange an arbitrary hierarchy. That is, is it "just because" God wanted it that way, or did he actually create men and women to function in those roles? We do, of course, live in a post-Fall sinful world, and I do wonder how those roles would look without sin. Would the stereotypes of men's and women's personalities be much different? I also do not think that women are more easily deceived than men- that's not what I'm saying. But I do think it is somewhat unreasonable to call creation order arbitrary, no matter what the actual reason for it is. I don't think it is a matter of personality. Women bear childern because they were created that way,not because they are nuturing people. We may assume leadership has do do with personality, but that may be just modern philosophy. You could argue that a man leads his children weather he is present or not. If he is in jail his absence sends a message to that child as much or more so than if he is in the home teaching that child. Maury and Oprah and others have shown use clearly the damage poor leadership in the family creates. I don't don't think of male and female as a hierarchy. Our society and many others value leadership over child bearing (for example), but that does not mean that one is more important than another. A woman in leadership does not make her closer to God, or higher on the food chain as many would assume. I don't think it is arbitrary, it is obviously much more complicated, but this is where we start in Genesis. I think we were designed for these roles and the roles we designed for us. On a side note I think that whenever two people enter a relationship there will be a leader and a follower. Be it friends, co-workers, cell mates, even as strangers. If one doesn't become the leader and one the follower the relationship will fail. That is why I don't view leadership as a point of hierarchy, more as a course of nature. I think using Christ's example we can develop more descriptive roles that are centered on character more so than personality. I think this would be a good topic to investigate.